Diamond link bracelets are not just beautiful and trendy, but practical as well. Irrespective of age and wrist size, they can be worn by anyone. Needless to say, they remain one of the most important part of Diamond Jewelry in the market. Here are 5 unique design ideas for diamond link bracelets that will look good on anyone and are suitable for any occasion. This can be worn to formal events as well as office parties. This one chunky piece of diamond jewelry is enough to draw attention to your arm at a dazzling party. If you are planning on a single piece of jewelry to wear, go for this design. Like to make a style statement with something that you can wear every day? Go minimalistic with a thin chain of diamond link bracelet. You can wear this at home for no reason, or at office every day. You will look classy and sophisticated with this singular piece of jewelry. It is unique and chic. 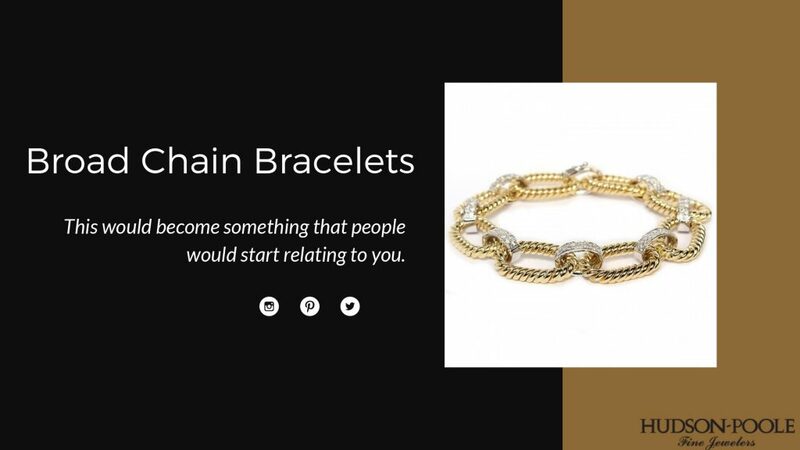 The thin diamond link bracelets are way classier than the usual necklace with a pendant. If you have got a big wrist and like wearing watches with a large dial, you will feel at home with a heavy design for your bracelet. It can be all diamond or a combination of gold and diamond, if you want a dual tone effect. This is usually for occasional use but you can even pull it off every day like it is a part of your wrist. This would become something that people would start relating to you. For the slender wrists, we need something that can make your wrists look gorgeous without trying too hard. Going for multiple layers gives volume to your wrist. 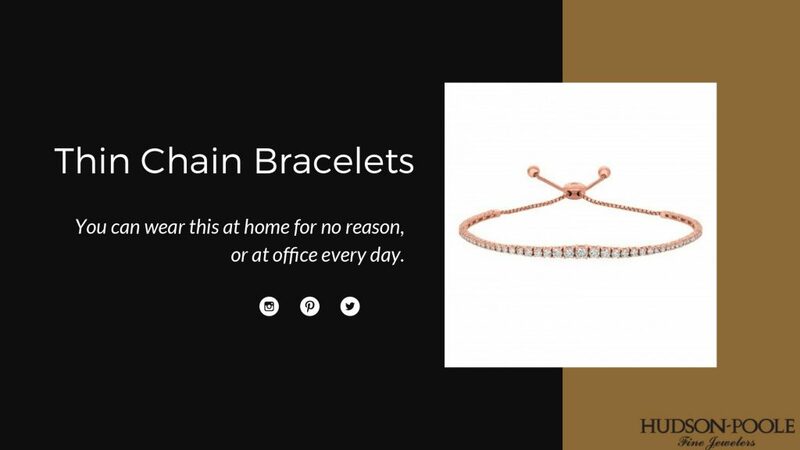 As opposed to the popular belief that people with slender wrists should wear narrow banded jewelry, we say, wear a series of narrow chains of diamond link bracelets, or one layered piece. Bring attention to your slender wrist instead of shying away. 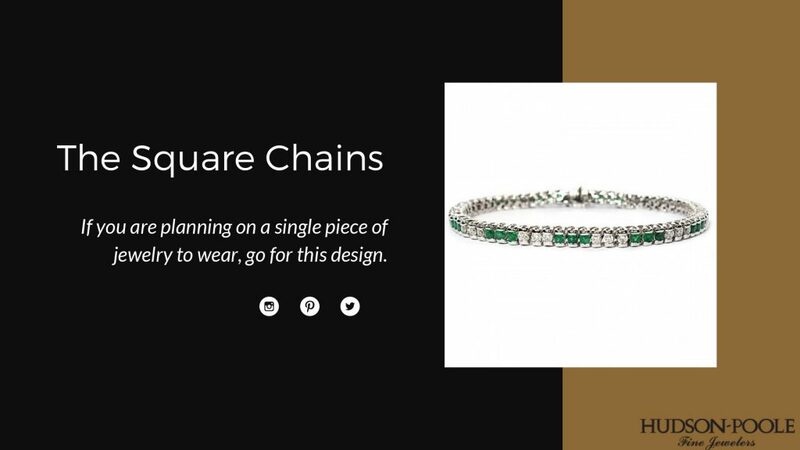 Go for something colorful with an emerald, turquoise, or ruby studded diamond link bracelets. Team it up with matching outfit or a matching accessory. You can wear a contrast color outfit but match it with your shoes or handbag. For example, a turquoise studded diamond link bracelet to go with your yellow sundress and a turquoise handbag. 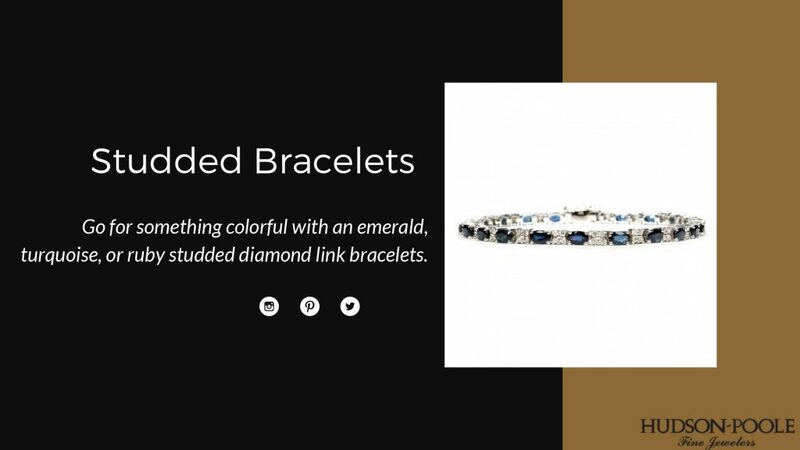 Every woman must own at least one of these stylish diamond link bracelets. Find yours, today.